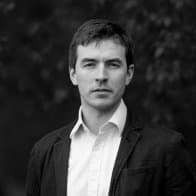 Dr. Stephen Kinsella is a Senior Lecturer in Economics at the University of Limerick. He is a consultant to the Bank of England, Deputy Chair of the Higher Education Authority, and a research fellow at University College Dublin’s Geary Institute. Stephen is a weekly columnist for the Sunday Business Post and, in addition to 4 books, about 30 journal articles and winning around 3 million euros in research funding, he has also written policy pieces for publications like the Harvard Business Review, Foreign Affairs, and VoxEU. Stephen recently made a RTÉ radio documentary ‘We couldn’t understand the Peace’ with Ian Kenneally and Ronan Kelly about a period in 1972 when ‘refugees’ came from Belfast to stay in the Benedictine Monastery Glenstal Abbey. The story is fascinating and uncovered a lesser known side of the history of the Troubles. A critic of Ireland’s austerity regime, Stephen builds and estimates macroeconomic models in his academic work. Stephen has two PhDs in economics but still manages to make sense.